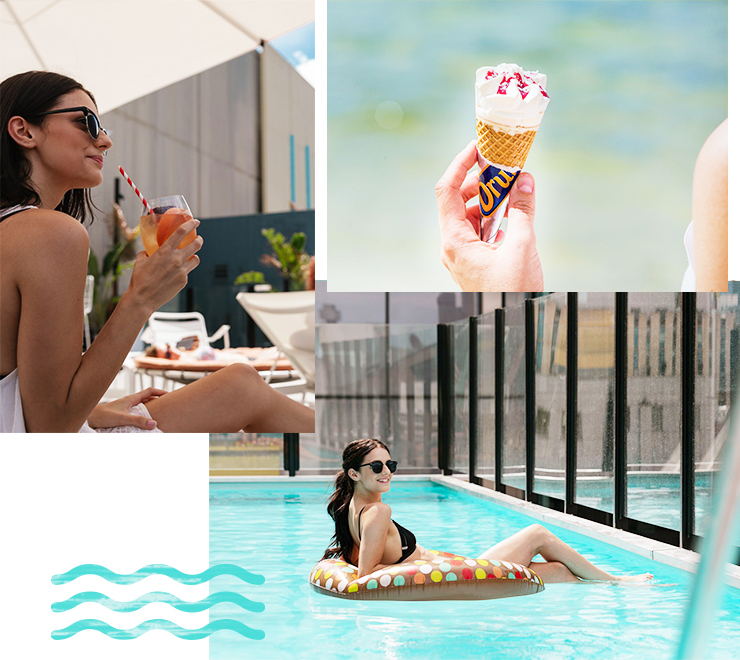 One of our fave CBD staycation spots (they had our hearts when we found out about the world-class dessert bar in the lobby), the Adelphi Hotel’s newly renovated rooftop pool is open to the public every Friday from 5pm to 9pm. 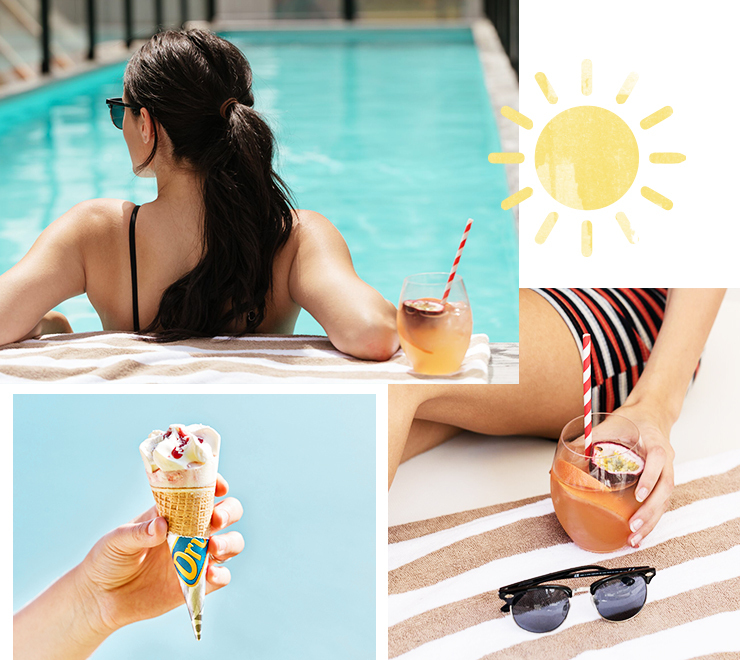 Until Friday 16 March, Four Pillars Gin will set up shop with a pop-up cocktail bar and Om Nom Kitchen will be dishing out a special rooftop menu. Weekend #sorted. Melbourne’s authentic Japanese bathhouse, Onsen Ma is tucked away above street level along Meyers Place. Treatments include public onsen baths (no bathers allowed, sorry! ), along with massages. Housed inside The Langham Melbourne, Chuan Spa offers complimentary access to The Langham’s pool, Jacuzzi, steam room, sauna and unique snail shower with any booking. Soak up panoramic city views, without the price of a stay. A man-made tunnel constructed in the late 19th century along the Yarra River, Pound Bend tunnel now plays home to a rock pool of rushing water (BYO kayak, or board). Calmer, shallow pools are dotted in the nearby area for less confident water babies. Located in Phillip Island, Kitty Miller Bay is a favourite for snorkelers, surfers, beach walkers and fishermen. A large rock platform is exposed at low tide and waters are reasonably shallow, exposing great rock pools when waters are low. The quieter waterfall of The Grampians, Fish Falls is located a few kilometres down from MacKenzie Falls, alternatively, you can start from Zumsteins and walk upstream towards MacKenzies for a longer adventure. Swimming is permitted at Fish Falls, but be mindful of slippery natural rocks. Located in Warrandyte State Park near Eltham, Laughing Waters is a small stretch of the Yarra River surrounded by native bushland and perfect picnic spots. Check the daily forecast to see if swimming is suitable in these waters. A freshwater swimming spot in Kyneton, Turpins Falls features flowing waters, small rock pools in winter and a wide circular swimming area. BYO esky filled with Drumsticks and you’re set for a glorious day. One of the most picturesque spots in Victoria, Fairy Cove is located in the Bass Strait and is separated by two bays that detach and rejoin at different times in the day. Fairy Cove is only accessible by hiking from Darby River, or Darby Saddle. Quieter than the neighbouring Airey’s Inlet, Sunnymead Beach is also pup-friendly—perfect for road tripping with your favourite four-legged buddy.